Conservative History Journal: Who better than Dizzy to bring this blog back to life? Who better than Dizzy to bring this blog back to life? One of the funniest episodes of the peculiar time in which Ed Miliband was leader of the Labour Party was when he stated on a visit to Israel that he could be Britain's first Jewish Prime Minister. 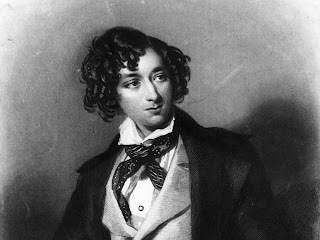 There was a world-wide response (in which a number of my non-British friends participated), which consisted largely of the question: what about Disraeli? What, indeed? A number of Mr Miliband's supporters tried to pooh-pooh Disraeli's claims to being the first (and, so far, the only) Jewish Prime Minister of Britain by pointing out that he had been baptized at the age of 12 and was, in fact, a practising Anglican later in life. That is so but then Ed Miliband is a practising socialist atheist and it is highly unlikely that he has ever participated in Jewish religious ceremonies unless he thought he could get some kind of a political advantage from such participation. In that respect that would be no different from him participating in, as it were, Sikh religious ceremonies, or Hindu or Muslim. So, it is down to race and ethnicity, according to which Benjamin Disraeli, Lord Beaconsfield was most definitely Jewish. Indeed, as he rose in the political sphere, he became the target of numerous attacks that now we would call anti-Semitic though the expression itself was first used after his death. Some of those attacks came from Liberal politicians, journalists and historians, including Mr Gladstone himself. The book is part of a series published by Yale University Press, Jewish Lives, and the author begins by asking "Does Benjamin Disraeli deserve a place in a series of books called Jewish Lives?" He comes to the conclusion that he does for various reasons not just because he was born a Jew and rose higher than any other in British politics. His analysis follows Disraeli's life and looks at his books, novels and his biography of Lord George Bentinck, his colleague in the destruction of Sir Robert Peel and, let us be honest, the Tory Party. Cesarani looks at Disraeli's family, his early life, his cavalier attitude to other people's money and the distrust felt for him by many in British politics and society. The distrust, he concludes, had more to do with Disraeli's rackety life, his debts and his various affairs. He was seen as foreign and exotic but, thinks Professor Cesarani, his Jewishness was largely subsumed in that. The first attack on him as a Jew came from Daniel O'Connell during the Taunton by-election of 1835. The attack wounded but many commentators felt that O'Connell had overstepped the marks of decency. It was not till later in Disraeli's career that the various slurs became stronger, culminating in the ferocious attacks during the whole of the crisis of 1876 - 78 from which he emerged as the man who had won a great victory for Britain without firing a single shot or endangering a single life. That he is emerged as such for most people and, certainly, for the Conservative Party but not for all. Gladstone continued to fulminate; other Liberal writers pronounced that Disraeli's policy was not in Britain's interest but in the interest of the vaguely describe international Jewish conspiracy who naturally sided with the Turk. 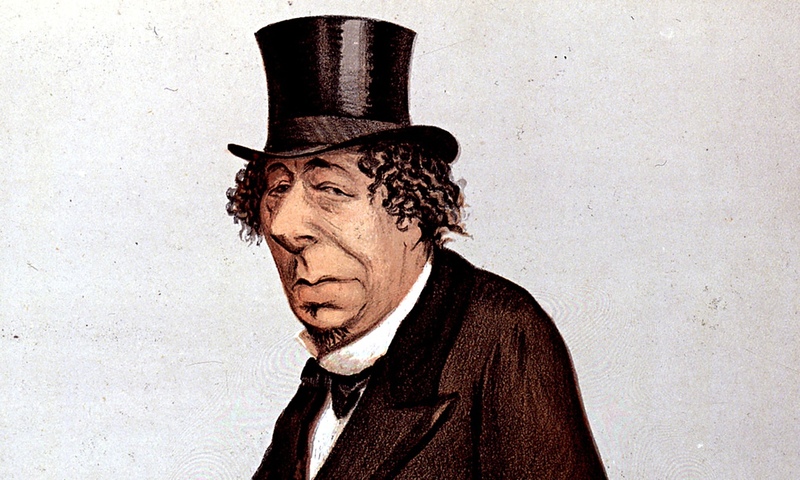 When it came to Jewish affairs Disraeli tended to drag his feet. He rarely intervened for Jews in other countries and was little more than a lukewarm fighter for their political rights in this one. He did support, more or less, Lionel de Rothschild in his struggle to be allowed to take his oath in the House of Commons without using the words "as a Christian" but the Rothschilds considered him unreliable despite their eventual close friendship and their support after Mary-Anne's death. 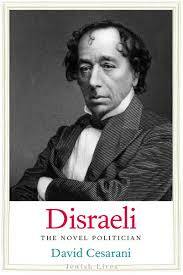 When one looks at Disraeli's writings a somewhat puzzling picture emerges on the subject of his attitude to Jews and Judaism. He was, in some ways, fascinated by it all but without showing the slightest interest in the history or politics. The early novels do not even refer to Jews. Later Jewish characters appeared, usually elderly wise men who "understood" the reality of the world in a way nobody else did. Sometimes there were plot lines that involved ideas of a Jewish revival in the East but these never came to anything. If one were to try to summarize Disraeli's rather convoluted and, let us be frank, mushy attitude to the Jewish Question, one would have to list these points. Jews ought to have the same rights as Christians because it is clear that, Christianity starting as a Jewish sect, the two were inseparable and it is wrong to try to do so. This rather conveniently by-passed the liberal argument for Jewish emancipation, as that was based on questions of equality and individual rights, concepts Disraeli loathed. He came up with the wildest theories about Semitic, Germanic and Anglo races but was convinced and repeated this at every possible opportunity that the world is divided according to some racial theory and this gave the Jews and the Anglos a great advantage. This was a particularly unfortunate as many of those who attacked him used his own so-called theories against him. Indeed, both Houston Stewart Chamberlain, the creator of modern racial theory, and Hitler quoted Disraeli to support their own sayings. When one adds to that Disraeli's propensity to explain that there is a cabal behind all world events, run largely by Jews, one can see that his influence was oddly harmful to Jews in the twentieth century. David Cesarani comes close to saying that it was largely Disraeli's fault that the modern lethal anti-Semitism was born and grew with such rapidity at the end of the nineteenth century. That is, surely, somewhat unfair. The likelihood is that it would have existed and battened on other historic events without Disraeli's melodramatic novels and peculiar biography of his friend. The tracing of Disraeli's attitude to Jews and other people's attitude to him as a Jew is, on the other hand, an important part of the story both Disraeli's and that of modern British politics. Certainly Benjamin Disraeli deserves to be in this series of biographies as long as nobody thinks that this is all that matters about him. Cesarani's book ends on a rather tragic note with Disraeli losing his grip on politics and dying while under constant anti-Semitic attacks. But by this time he was seen as the creator of the modern Conservative Party and a statesman of world-wide fame. A year after his death he was honoured beyond any other Prime Minister through Primrose Day and, subsequently, the Primrose League. He remains the one against whom party leaders, mostly but not exclusively Conservative, measure themselves. He is also the one about whom biographies pour out every year. This is a fine contribution to the genre, fascinating, knowledgeable and lightly written, but there will be many more.